Horse gram (Macrotyloma uniflorum) is considered as underutilized legume and often referred as poor man’s pulse. This legume is cultivated particularly in southern part of India, i.e. Karnataka, Andhra Pradesh etc. This pulse contains high amount of nutritional properties and are known for their therapeutic values. For consumption, horse gram is generally germinated, which causes reducing in the anti-nutritional factors and improves the digestibility of the legume. 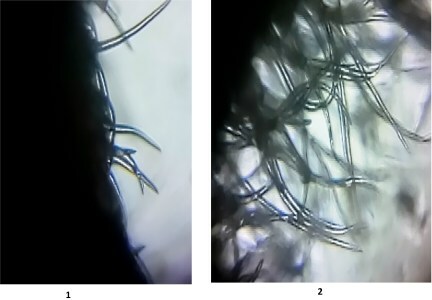 During germination there are changes in the microstructures. 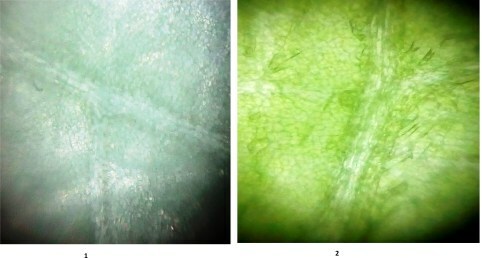 Using our Foldscope, changes in the microstructure of different parts of horse gram seeds were observed which are reported below. Fig (A). 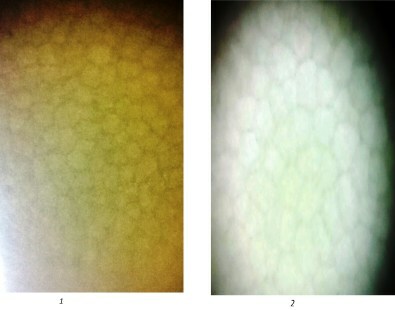 Cotyledon cells before germination (1) and after 3 days of germination (2). Cotyledon endosperm cells supplies food to support the embryo plant to grow until it can collect it’s own food. Fig (B). Plumule observed after 1 day of soaking(1) and after 3 days of germination (2). Plumule is the rudimentary shoot or stem of an embryo plant. During germination plumule enlarges, elongates and begins to make chlorophyll and turn green, then becomes a shoot with fully expanded leaves. Radicle is the rudimentary root of an embryo plant. 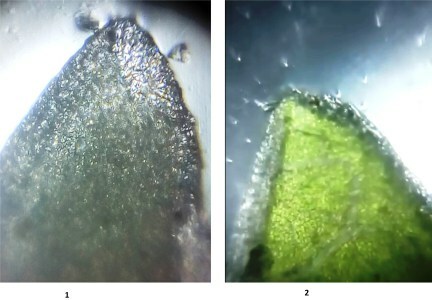 During germination radicle increases in thickness and begins to elongate. The tip changes from white to dark reddish brown in colour. 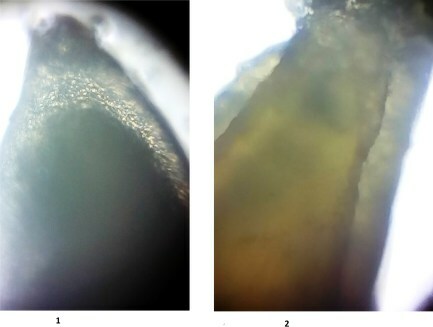 Root hairs start forming at the dark reddish brown region of the radicle, then radicle is converted into a root with large number of root hairs .